With the Marriott/Starwood merger beginning soon, many Starwood loyalists are looking to redeem their SPG points before the two programs are combined. Normally, we’d suggest redeeming points whenever you’re getting at least 2.5 cents in value, however there’s a much better deal out there right now, at Starwood’s latest flagship property in the Maldives. 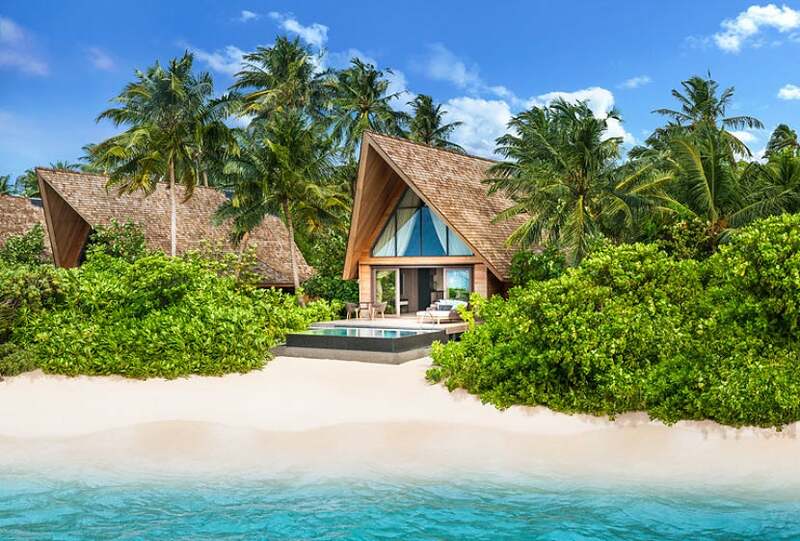 The St. Regis Maldives is set to open next month, though the hotel is currently only accepting bookings beginning in November. Room rates are astronomical — no, really, they put Amanpulo to shame — but for one reason or another, Starwood is letting SPG members redeem points for a free stay at a phenomenal rate. There’s no minimum-stay requirement, so you can book just one night if you’d like, but note that you’ll need to shell out $700 per person for a seaplane from Male Airport (MLE) to the hotel, so a five-night stay makes much more sense. The hotel appears to be available on most dates, with the exception of the New Year’s holiday. Unfortunately you can’t book these stays online — you’ll need to call SPG at 888-625-4988 to book your award — but availability should match up with the revenue inventory you can see on Starwood’s website. Also, note that these rates may change at any time (the deal may even be gone by the time you’re reading this), so you’ll want to book your award sooner than later. Featured image is of an Overwater Villa at the St. Regis Maldives.